Michelle Felux, owner and primary therapist of Willow Moon Healing. Practicing therapeutic massage since 2009, I am nationally certified and state licensed, a member of ABMP (Associated Bodywork & Massage Professionals), and a Reiki Master Teacher. To further serve you, Michelle's continuing education includes: addressing low back and hip pain, addressing neck pain, sciatica, prenatal massage, CranioSacral Therapy through the Upledger Institute, and Myofascial Release from John F. Barnes. Michelle is certified by the American Red Cross in Adult and Pediatric First Aid/CPR/AED. 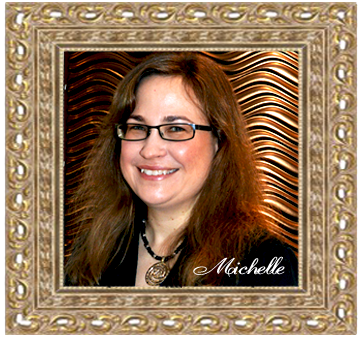 Michelle's highest mission to you, the client, is providing professional and therapeutic services while creating a personal experience for you. We strive to give you the highest quality service, not based on the number of times you come in to see us, but based instead on the quality of each experience you have with us. Andrea is a licensed Master Esthetician in Virginia. She received education through the Aveda Institute in D.C. for her basic training in 2011, and Graham Webb Academy in Rosslyn, VA for her Master training in 2013. Andrea's takes a holistic approach to skincare and always incorporates aromatherapy, massage, and mindful practice into each treatment. Tying these elements together provide the best form of relaxation for the guest, while she works to tackle your skin concerns. Andrea also has a background in nutrition and will receive her Master of Science in Nutrition Education from American University at the end of 2016. Good nutrition is the basis for healthy skin on top of a consistent skin regimen. Krista comes to Willow Moon Healing with years of expert experience and customer services. When Krista first enrolled into massage school back in 2008, she had no idea how much that decision would impact her life. For Krista, the best aspects of massage therapy are the connections and rapport she is able to build with her clients. Krista's goal as a massage therapist at Willow Moon Healing, is to provide guests with a customized, high-quality massage that is customer service oriented. While proficient in many massage styles and techniques, Krista especially enjoy performing relaxation-geared Swedish massage, geriatric massage, and highly detailed and thorough massage to a focus area. When not working, Krista enjoys spending time with her boyfriend, eating good food, and getting lost in good music. Take time for yourself to start feeling better, recover and enjoy with many solutions towards a total body, mind and spirit wellness that starts here at Willow Moon Healing. © WILLOW MOON HEALING, LLC. All Rights Reserved.